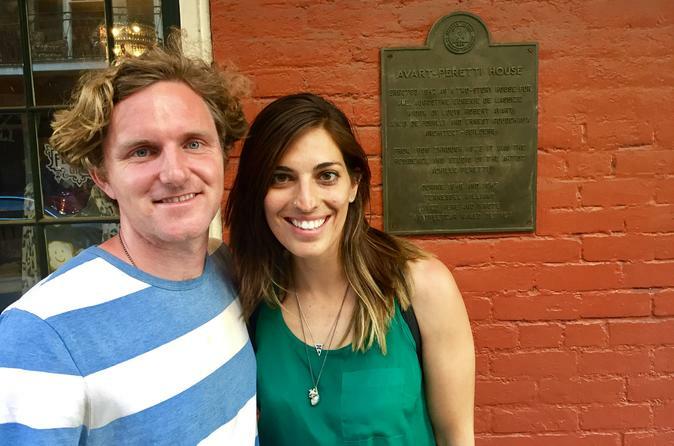 This French Quarter literary “ghost tour” and pub crawl explores the haunts of famous writers who found Bohemia in New Orleans. Enjoy close encounters with Tennessee Williams, Truman Capote, Charles Bukowski, William Burroughs, William Faulkner, Walt Whitman, Mark Twain, Oscar Wilde, Simone de Beauvoir, and other lively literary spirits. Here's your invitation to go Bohemian in New Orleans! Or hatch your inner barfly, if you like, in this two-hour, small-group literary walking tour and pub crawl through the French Quarter. We meet at cocktail hour at Cosimo's, a cozy corner bar that has welcomed locals and visitors alike since 1933. Then it's up Burgundy Street through the serenely beautiful lower Quarter to see the fine homes, or cheap hovels, where Tennessee Williams, Truman Capote, William Faulkner and William Burroughs lived and wrote. Close your eyes at an elegant townhouse on St. Peter Street and you will almost hear the rattling wheels and clanging bells that inspired "A Streetcar Named Desire." Along the way, your well-versed guide (a former magazine editor and publisher) may stop to deliver a written-in-New-Orleans, only-in-New-Orleans poem or two by Walt Whitman or Charles Bukowski. And if you're wondering what sophisticates Oscar Wilde and Simone de Beauvoir were up to when they breezed through town, all will be revealed...along with anything you'd like to know about history, architecture, music, food and life in the Quarter today. Your sojourn in Bohemia ends with a toast to genius and farewell round of Sazerac cocktails at Tujague's, the oldest stand-up bar in America where a young riverboat pilot named Samuel Clemens would amuse fellow patrons with tales of his "Life on the Mississippi." If barroom walls could talk!